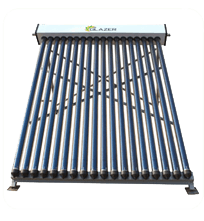 Enorma series are industrial solar water heaters of capacities 500, 1000, 1500, 2000, 2500 upto 1,00,000 liter per day. Enorma series are products which comes with enamel coating which can withstand higher water TDS ( Salt) level. Corrosion resistant high quality stand parts. 72 hours of heat storage. Pay back within 3 years. 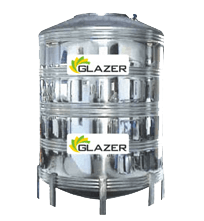 Available in size ranges of 100,150,200,250 Ltrs. Copyright@2013 GLAZER SOLAR ENERGY PVT LTD. All Rights Reserved.